Blumen Garden Bistro, found on the edge of Picton, proved to be our safe dining harbour as we began our long weekend vacation in Prince Edward County at the beginning of June. The visit to The County was the second leg of our 10-day Ontario focused vacation. Our travels had been interrupted by a 24-hour stop back home in Ottawa to attend to important matters. What a mood killer just as we were well into mentally unwinding. It didn’t help that our efforts to get back on track were haphazard. We left Ottawa late in the afternoon, tired, hungry and feeling rushed. Our travel route was plagued with delays and construction. Hungry on a ‘400’ highway in Ontario leaves you with very little to choose from. Although neither said it out loud, eating fast food on a food holiday is sacrosanct. We would rather go to bed hungry than start off The Great Canadian Cheese Festival weekend with anything prefixed with the name Mc. Feeling downtrodden at our disorganized attempt to get out of the nation’s capital, we edged into Picton at about 8 pm. The solitude on County Road 49 was finally broken with the collection of buildings peppering the outer town limits. 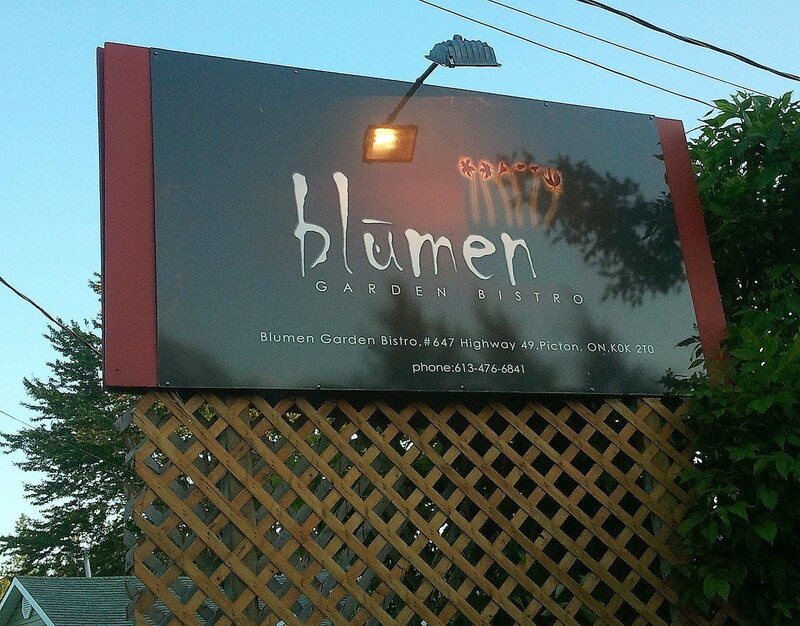 And then like a beacon in the night, I caught the lit sign for Blumen Garden Bistro high in the sky. Now the big question, would they take us this late? Why, yes they would! I think a standout for me was our waiter for the evening. His high energy and enthusiasm rejuvenated these two weary travelers. I just fell into the safety of his arms, so to speak. I let him pick my drink. I let him choose my dinner. We weren’t looking for an elaborate dining experience. Just good food. A little something to take the edge off. So we both went for only a main. Were we ever wowed! 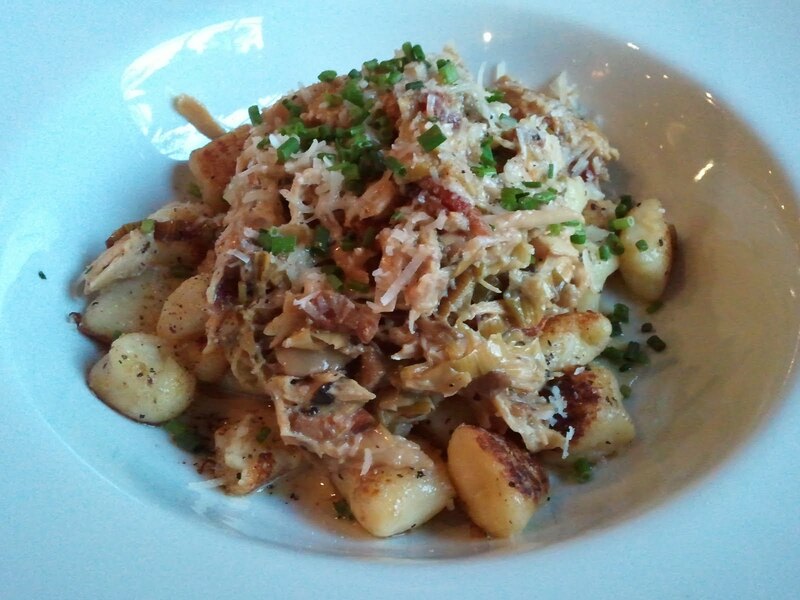 I couldn’t stop chattering to myself about my dish and the mister was happy too. The start of our vacation had been appropriately christened. As we were finishing our meal, Chef Andreas Feller, came to visit us table side. I was thrilled to tell him how much I enjoyed my rabbit. One of the best dishes I have ever had and for sure the best rabbit dish I ever had. It turns out, I had the last of the rabbit that evening. The dish is very popular and he has a hard time keeping up with the demand. He had taken it off the menu once and his regulars really raised a fuss! I thank them for that. Chef Andreas Feller actually has an Ottawa connection too. He worked at E18hteen in the Byward Market back in 2004-2005. He then went to Café Paradiso before moving to The County in 2008 to be chef/owner of Blumen. Trained in classic French cuisine, he grew up and apprenticed in Switzerland. We appreciated Chef taking the time to come check in on us. We hear that this is a regular thing with him. Nice touch! 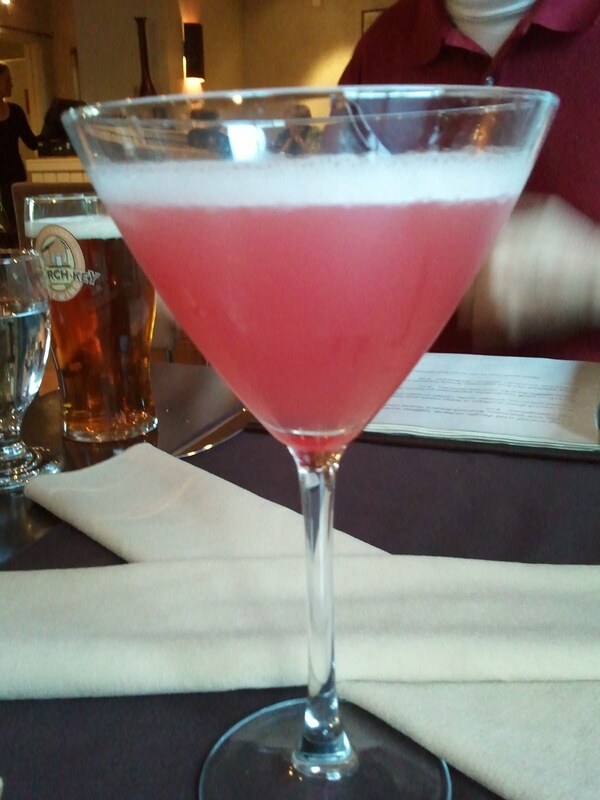 My very refreshing Cosmo in the foreground and the mister’s Church Key beer tucked in the background. This evening we needed to be rescued. We needed to be rescued by people that know great food and great service. 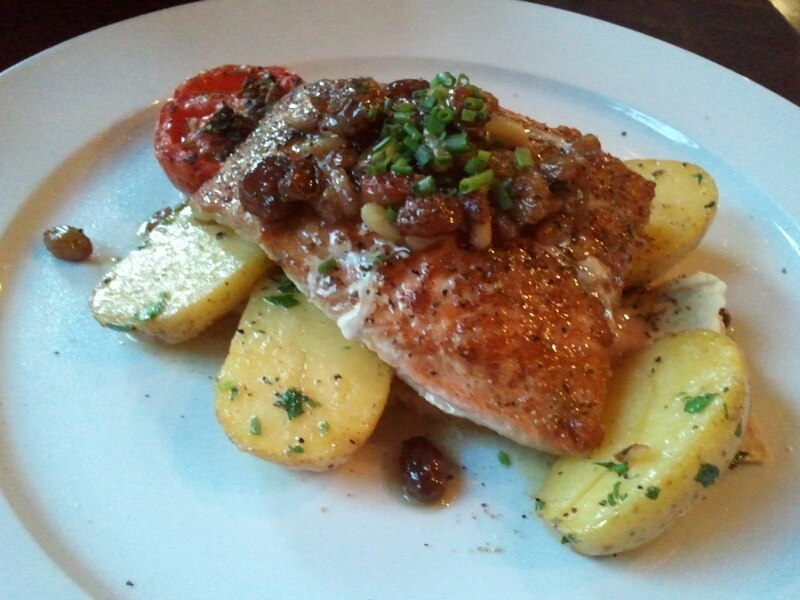 Blumen Garden Bistro does both of these effortlessly. Thank you for taking us in after an arduously long hard day. Our second mini-vacation was definitely starting on a high note.